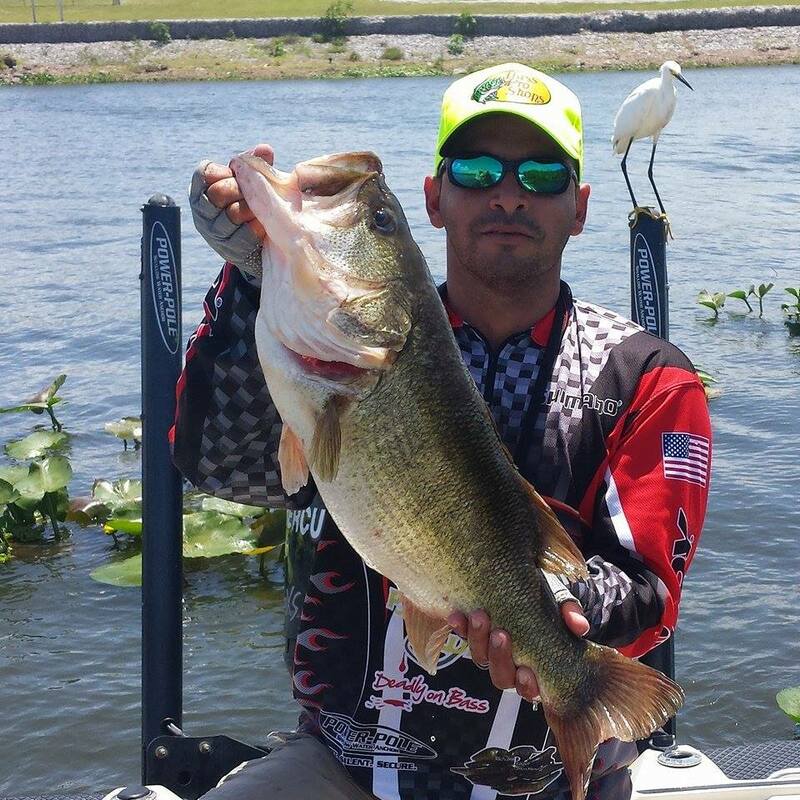 The bass fishing on the Big-O, aka Lake Okeechobee is still very good, as we are getting into the summer with hot days and warm nights, the water levels are dropping just slightly ,right now its at (12.76). This is resulting in the bass moving to the outside edge of the grass looking for the the pan fish which are moving in to their spawn. Some swamp donkeys are feeding on the pan fish and will also be lurking around waiting on their fry. Starting in the mornings you can go with hard top water baits like the Livingston Lures “Walking Boss”, spinnerbaits are landing the schooling fish this time of year as well. I like to use the Gambler Lures “BigEZ” burning that on top of the grass. If you’re able to dial in on the schooling bass, you can get into a really good time as the weather warms up. 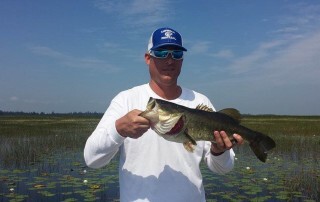 Frogs and lipless crank baits, like the “Pro Ripper” from Livingston are producing great also this time of year! You’re likely to get some quality fish pitching some isolated clowns of grass and reeds heads with the some of Gamblers jigs paired with their “Mega Daddy” as a trailer. I’ve had luck recently pitching swim jigs, senkos ( in watermelon red or black and blue depending on the clarity of the water). For our clients who’d rather toss live bait, wild shiners are still pretty stable catching good numbers and big ones. The water on the east side of the lake has been fair as well as the south end, there’s been a bunch of good bass caught close to Bird Island and outside grass of Horse Island. I’ve seen some higher concentrations of fish around the Kissimee grass mixed with Peppergrass, spinnerbaits work consistenly pulling out solid bass nn this areas. The East Wall and West Wall has some fish held up, Ritta Island has been working out well too. It is time for you to book the trip of your life in sunny Florida! Being one of the best fisheries in the United States, I will use my knowledge, local experience and tournament tricks to get you on some of those big Florida fish.